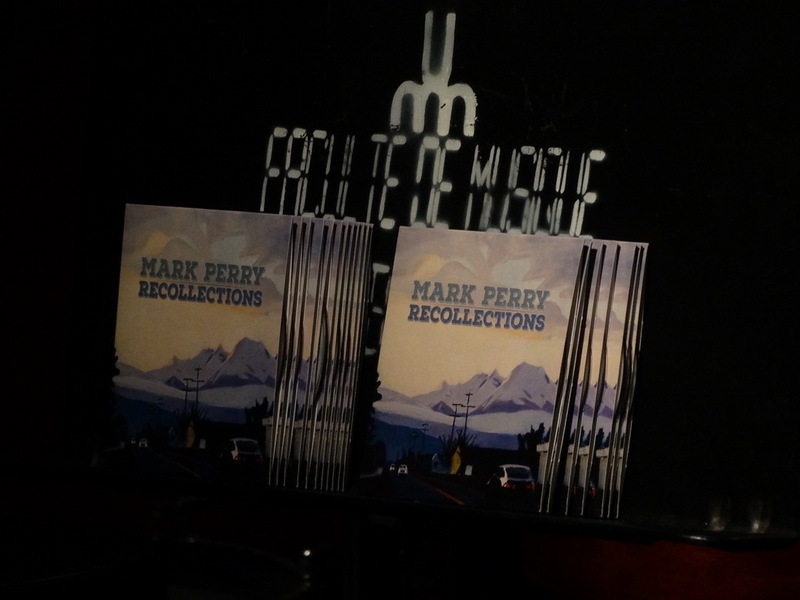 Toronto was really lucky to have received the rare appearance of British Columbia’s Mark Perry. He played a very intimate show at the Tranzac, and it was free! I walked into the room to an argument that was ensuing between Mark and one of the patrons. Mark was going to sing a song about gumboots when the patron asked “what the hell was a gumboot”. Mark explained and all of a sudden it turned into the deep conundrum of “is it a gumboot or just rubber boots” Well this went on for a few minutes when we began to tell him just to sing the song. It seems Toronto could be a tough place to play for a west coaster. He may never come back. He may just stay in his hometown of Smithers B.C. and tell new stories about Toronto. That would be too bad because Mark’s storytelling was truly honest, heartfelt and filled with humour and humility. Is that enough H words to keep you readers satisfied? His partner in crime was a young man named Ian Olmstead. He played rhythm guitar and the accordion. Ian’s sound on the accordion had a unique flavor and a slight sprinkle of alchemy to it. With some luck we got to meet his daughter Mip, who played some bass and sang back up on a few songs. It seems that Dad finished this part of his tour just so he could spend time with his very devoted daughter who was filled with zest. Mark on the other hand carried a spiritual satchel with magic dust that would warm up any room. Songs like, “Leaving the North”, had strong sense of loss and a longing of holding onto a cherished past. “Golden Spruce”, has folklore to it, with the message of messing with the natural order of things, metaphysical ramifications could go awry. Mark went into a Country waltz that painted a portrait of a community place where people went to shake their spirits and leave it behind to pick it up the next time they got together again. My fave of the night was a classic story of a shipwreck. In this case the song, “Queen of the North”, was a tale of a ferry that sank coming into Prince Rupert and sank 1400 feet below. Luckily only 2 people perished in that wreck. Thank goodness for a well organized crew who helped people to safety. I jokingly said,”and all Gordon Lightfoot has is the wreck of the Edmunds Fitzgerald”.